Immerovigli is a picturesque village in the north of Santorini, only 2 km away from the capital of Fira and took its name from the word “vigla” which means view or watch as it gives the traveler a perfect view to the caldera of the island and this was the spot that the residents of the island used to see the ships coming to Santorini during old times. One of the most amazing places on the island that has maintained its traditional character, Imerovigli is offering everything to the traveler -from traditional guest houses that will make you adore the stunning greek decor and architecture- to only the most cosmopolitan hotels and restaurants with- the most important of all- a breathtaking view! In front of Immerovigli lies an enormous rock called Scaro with the castle on top of it that was built during the 13th century. Immerovigli has numerous chapels and churches built on the rocks overlooking the deep sea and this village is a place that you to visit when in the island - whether you choose to spend there your holidays or not- as it is the most romantic place of the island since it is offering you unforgettable views. Here the views are amazing and you will find yourself dreaming about coming back and of course it is the perfect holiday destination for your honeymoon. With nod doubt this is not the only reason to adore this of unique beauty place. 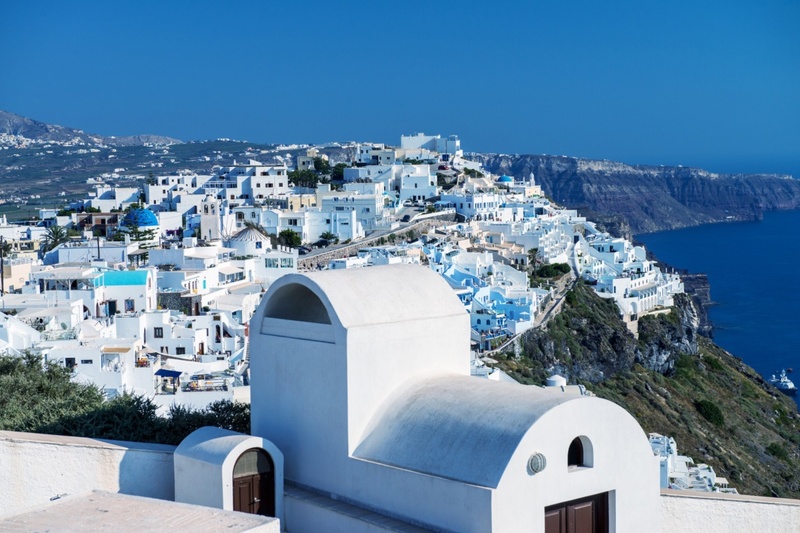 As expected, there are many things to do and see on this part of Santorini, but the first thing that will captivate you is the architecture. You will definitely notice the blue and white houses that go all the way up the cliff at right angles to each other and create the ultimate holiday scenery and of course the panoramic views from this part of the island will remain in your memory. Find information about selected Hotels, apartments and rooms in Imerovigli to choose the perfect place for your accommodation.